Want to start your own online retail business bit don’t know what products to sell, or how to produce them? Find out why dropshipping could be the answer. Running your own business is one of the most satisfying things that you can do; you get to choose what, how and when you sell, and can build your own brand from scratch. For many, though, the combination of a great idea and a thriving business seems both terrifying and impenetrable. Dropshipping can help you to overcome those fears by greatly simplifying product management and inventory. In this article I talk you through the process of using dropshipping to sell your own products, and show how you can more easily achieve your dream of running your own business using it. Dropshipping is a great way for you to start your own business. It allows you to get started with minimal overheads and assets, and without the need to have a mountain of stock. You can also design and print your own unique products using dropshipping, as many dropshipping suppliers like Printify and Printful allow you to print designs on pre-arranged products like mugs, vests, hoodies, t-shirts, tote bags, lamp shades, wall canvases, stickers etc. What are the pros of using dropshipping to sell your products? Product variety – as long as your dropshipping company can make it, then you can sell it. Dropshipping means that you can have a greater variety of products than if you were making them yourself. 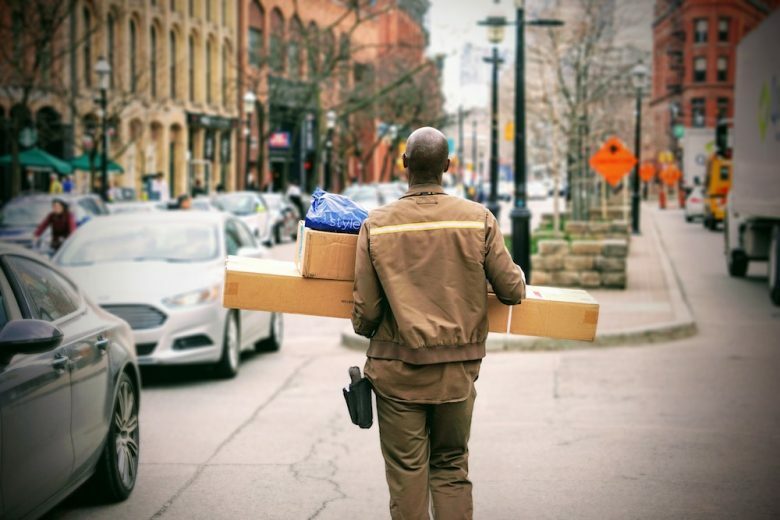 Lack of risk – as the stock you sell is ordered on the basis of pure supply and demand (when your customer places an order your dropshipping company produces the item) you don’t have the risk of having a stockpile of products sat unsold in a warehouse. Time is your friend – as you have no physical stock you have no need to spend your time stacking/storing goods. This means that you can focus your energy on growing your business and marketing, rather than managing your stock. What are the cons of using dropshipping to sell your products? Loss of control, retention of responsibility – while you remain in charge and control of your business, using dropshipping means that you pass on some of the control to the third party company responsible for producing and distributing your products. This means that any problems caused by the dropshipping company will be your responsibility to solve. You will also have smaller profit margins to play with. Demand can be too demanding – while not producing, holding, owning, and distributing your own cost reduces your costs and overheads, it also restricts your ability to react to changes in customer demand. This means that if you receive orders that your dropshipping company are unable to fulfil then you may lose out on business. Low barriers to entry mean increased competition – dropshipping is a really easy way to start a business. That means it’s not just easy for you, but for everyone. As as a result you may find yourself walking into a fiercely competitive market, one where you are selling products that are near identical to your peers. This makes it imperative that your USP is truly unique and that you have a strong brand identity, so that your products stand out. That said, drop hipping can help you to grow an enormously successful business. One company who has build their (huge) success on the dropshipping model is Zappos. Founded in 1999, this online clothing and shoe shop entered the world of ecommerce by using dropshipping. Ten years after the company was formed it was acquired by Amazon for $1.2 billion. How can you use dropshipping to sell your own products? If you’re considering using dropshipping to sell your products, here are four steps you need to take. This is the simplest step to explain, but may be the hardest one to achieve. Dropshipping allows you to sell your own products, but choosing your niche can be tricky. What products you sell will not just depend on what you want to sell, but also what you are able to sell. Review the market to see which niche area you are willing and able to step into, then move on to the suppliers and establish which ones will be able to sell your products. If you are making your own designs, focus on creating a coherent look and feel in order to establish a brand story and aesthetic. A huge part of the success of selling your products via dropshipping will come from the supplier. It’s not just a matter of finding a supplier who will sell your product; you need to find one that is going to keep to the standards that you demand for your business. Conduct dropshipping research and then select the right supplier for your business. If you’re considering international suppliers, remember that, while you’ll get access to a whole world of exciting good, they may have longer delivery times and more restrictions when it comes to shipping. Having settled on the products you’re going to sell, and a supplier who will produce and distribute them, you now need a place where your customers can buy your products. That’s where your online store comes in. Open source CMS – this method allows you to build your own store for free using software which is updated by a team of developers from around the globe. You will only need to pay for hosting, and any premium themes and apps you need. Closed source CMS – building your store in this way will come with a fee, namely that for using the software of the provider you have selected. However, employing this method will also give you access to a support network employed by your provider, and this is often the quicker route to market. This excellent article has even more information on open and closed source CMS. Work out how you’re going to take payments too — you’ll want an easy and secure portal that allows users to pay in a number of different ways and save their details for next time. It’s a good idea to also enable social media selling down the line, and you may even want to open a store on Etsy or sell via Amazon too. Set up social media accounts and start posting. Employ marketing tactics such as blogging and live-streaming. Pay for advertising on Google and social media. Starting your own business is a goal that many feel they are unable to achieve, often believing that they have neither the time, nor the money to be able to get their ambitions off the ground. Using dropshipping is a way that lets you sell your own products and can help you realise your dream of being your own boss in the half the time. Want more inspiration to get your business started? Find out how Kickstart, our one-year online programme will help. Victoria Greene is an entrepreneur, branding consultant, and freelance writer. On her blog, VictoriaEcommerce, she shares tips on how entrepreneurs can take their passion and use it to become their own boss. She is passionate about using her experience to help fellow entrepreneurs create their own successful businesses.